If you are married to an individual that is not a U.S. citizen, you may be wondering how that could affect your estate plan. For example, transfers between spouses are typically not taxed, however, transfers from a U.S. citizen to a non-citizen may trigger some tax consequences. If you or your spouse wish to learn about estate planning laws regarding non-citizens, you should consult with an experienced West Chester estate planning lawyer today. At Herr Potts and Potts, our diligent lawyers are prepared to assist your family with any estate planning issues you may have. Our lawyers are here to explain how estate planning works if you are married to a non-U.S. citizen. While there are different rules for noncitizens when it comes to estate planning, it is legal for noncitizens to inherit property from a spouse that is a U.S. citizen. Therefore, there is no issue with naming your spouse as a beneficiary on a life insurance policy or similar account. Generally, assets that are conveyed to a surviving spouse do not trigger the federal estate tax, despite how much the assets are worth. This rule is known as the unlimited marital deduction, and it does not apply if the surviving spouse is not a U.S. citizen, even if the surviving spouse is a permanent U.S. resident. The reasoning behind this decision was to prevent a noncitizen from inheriting a large estate tax-free and returning to their own country. It is important to note that in 2018, there is an $11.2 million exemption from the federal estate tax. This means that even a noncitizen spouse can inherit property without paying taxes as long as the amount of the assets do not exceed the $11.2 million exemption. Additionally, if a noncitizen spouse leaves property to their spouse who is a U.S. citizen, the surviving spouse will be eligible for the unlimited marital deduction. There are also special rules for gifts given to noncitizen spouse. Normally, if your spouse was a U.S. citizen, you could give him or her any gift, and it would be exempt from the federal gift tax. Your noncitizen spouse will only be exempt from the gift tax if they receive gifts that do not exceed $152,000 a year (2018 exemption rate). 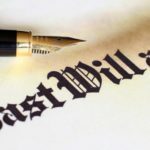 To learn more about estate planning when you are married to a non-U.S. citizen, you should speak with an experienced Delaware County estate planning attorney. There are a few methods that your noncitizen spouse may use to avoid the federal estate tax that could affect a significant amount of an inheritance they receive. You should encourage your noncitizen spouse to pursue these methods so that they are free to inherit your property without worrying about excessive taxes. One way that your spouse could avoid the federal estate tax is by becoming a U.S. citizen before the federal estate taxes are due on your estate. Federal estate tax returns are typically due nine months after the death of the owner of the estate. Under certain circumstances, the IRS may allow a noncitizen spouse to have a six-month extension to wait for the approval of their U.S. citizenship. It is important to note that the citizenship process can take months or possibly years due to the waiting period to apply, therefore, it is important to pursue this method as soon as possible. Another option that a noncitizen spouse can utilize is a qualified domestic trust (QDOT). A QDOT allows the citizen spouse to transfer their property and assets to a trust for the benefit of the noncitizen spouse. A QDOT gives your noncitizen spouse income that is accrued from the property placed in the trust. 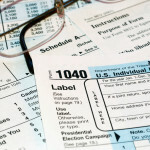 The income from the trust is not subject to the federal estate tax. This trust only allows your noncitizen spouse to be the beneficiary; no other beneficiaries can be added to the trust while your noncitizen spouse is alive. It is important to note that if property from the trust is withdrawn for your spouse, the estate tax will apply to that property. However, there may be an exception for emergencies depending on the circumstances. If you want to create a QDOT, you should establish it before the estate taxes are due. The trustee of the QDOT must be a U.S. citizen or U.S. corporation. Therefore, it is important to establish this trust before either spouse passes away. If you need help with estate planning for the benefit of your noncitizen spouse, you should speak with an experienced Montgomery County lifetime gift planning attorney. At Herr Potts and Potts, our attorneys understand the need to provide for your loved ones. To schedule a legal consultation, call us at (610) 254-0114.